When Darryl Strawberry went through his struggles with drugs, he did not have the luxury of privacy. In 1986, he was a member of the swaggering, World Series-winning New York Mets, a team legendary for hard living, with Strawberry taking a lead role when it came to partying. When reports of his inability to stay away from drugs hit the media, he went National Pastime to national punchline. Everybody in America knew that Strawberry couldn’t stay straight. And then one day, 16 years ago, he hit bottom, which is defined in 12 Step recovery as the moment when you can no longer lower your standards to match your situation in life. Strawberry hasn’t had a drink or a drug since. 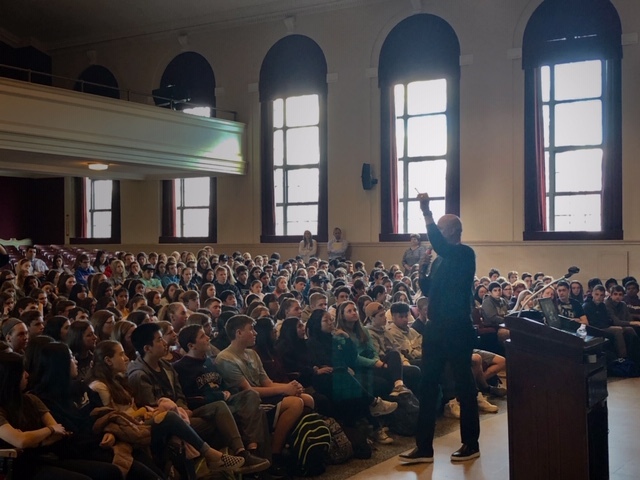 Now he carries his message of loss, recovery, and hope, to high schools throughout the New York area. Not just in the city high schools, but affluent, middle class high schools as well. At 6’6”, Strawberry is as physically imposing as ever, and his story of plummeting from the heights of fame, celebrity, and fortune to the depths of addiction captures the attention of students, no matter where the school is located. “They pay attention because I talk about real things,” Strawberry says. “I tell them about fame. I tell them about fortune. I tell them about brokenness. I tell them about emptiness. And I tell them about loneliness. “I tell them that at the end of the day, drugs will take you down a road you could never imagine, and they will keep you there longer than you could ever imagine. So I encourage them. I tell them, Don’t start. “They listen because they know I’ve been somewhere and I’ve done something. That’s the good part about being a celebrity. But my message is not about me being important or being a great baseball player. It’s about me sharing my life with them, explaining what can happen. Strawberry believes that the drug problem facing America’s youth is even worse today than it was in the 1980s, when he was a teenager and in his 20s. Strawberry tells high school students that when they move onto college or whatever comes next, they won’t have the same sort of scrutiny from parents and teachers as they do now. The fact that Strawberry won a ring with the ‘86 Mets resonates with the kids and gets their attention, but it’s his sincerity that holds them rapt. Strawberry believes that addiction is rooted in a sense of lack of love, and that if young people only understood just how much they were loved, they might not feel the need to drink or use. 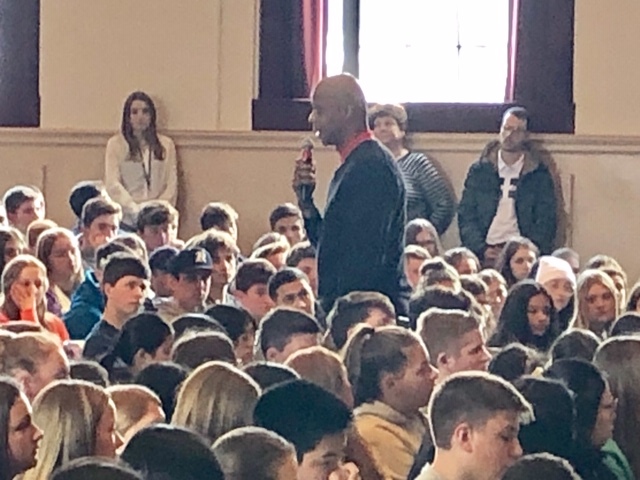 Strawberry recently spoke at River Dell Regional High School in Oradell, New Jersey.